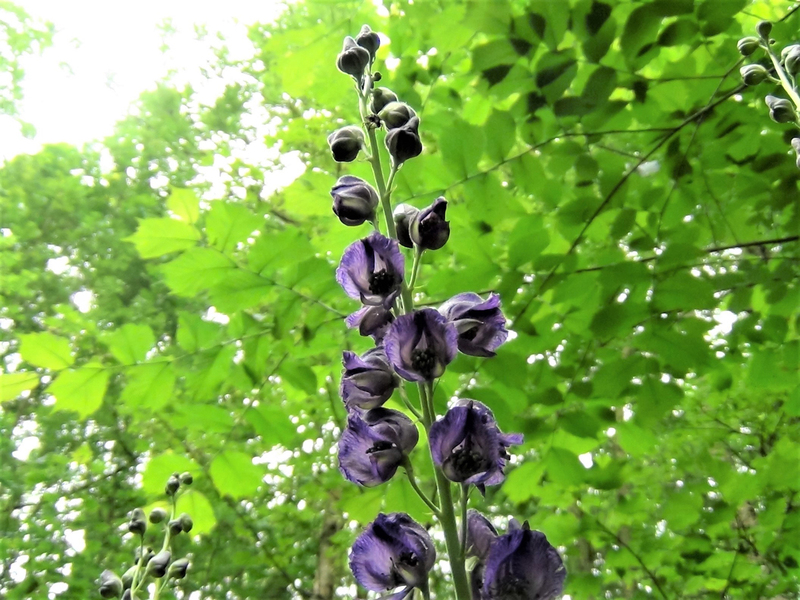 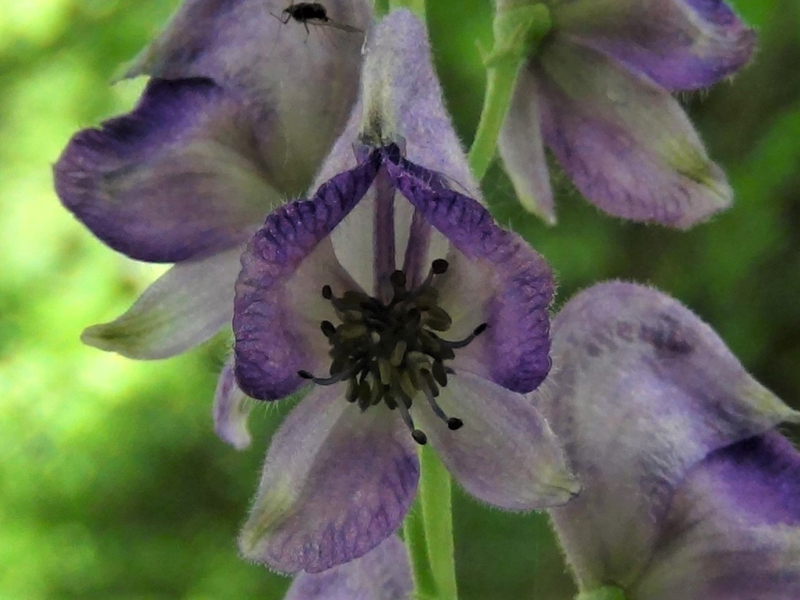 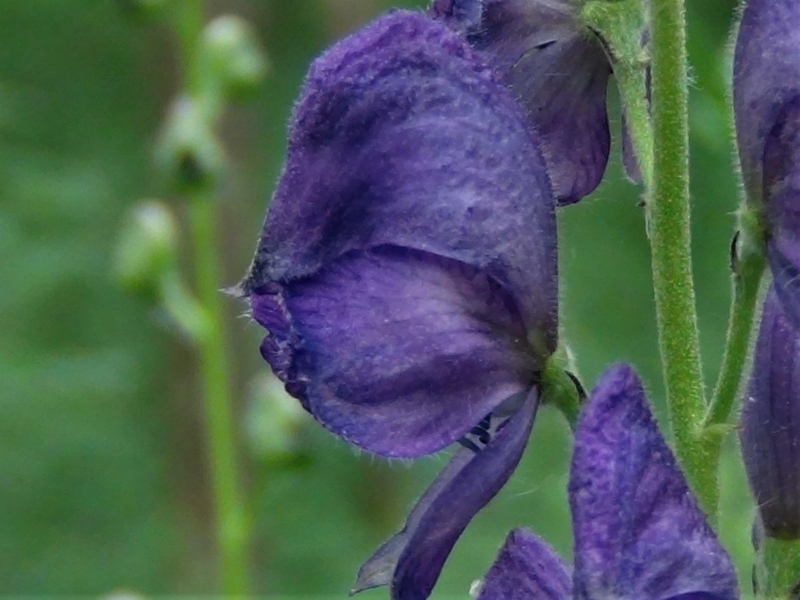 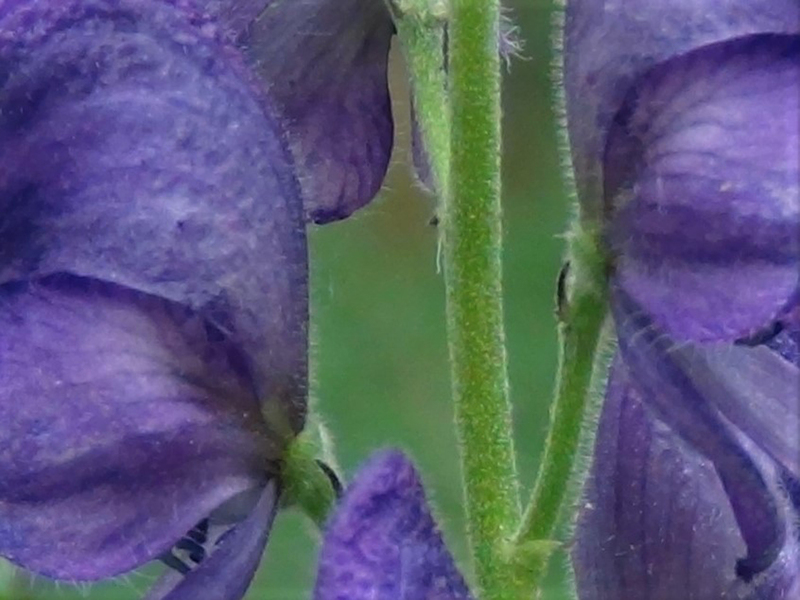 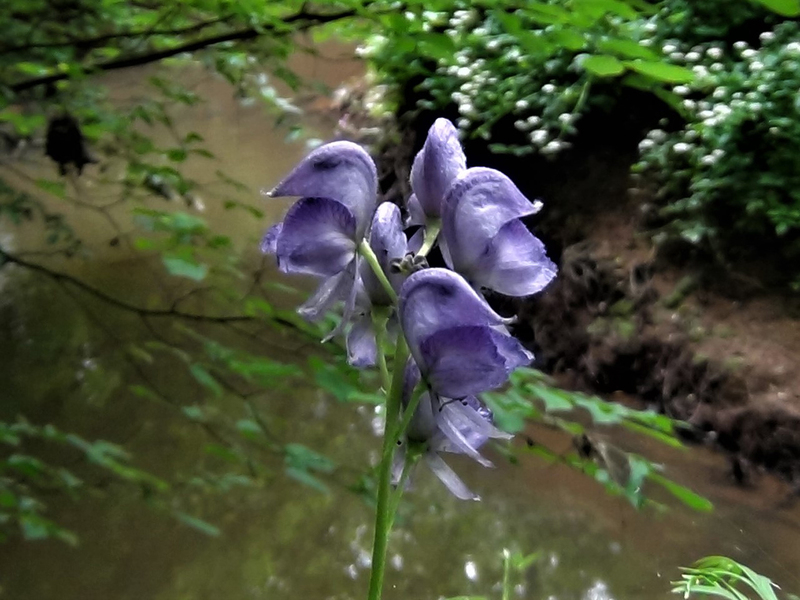 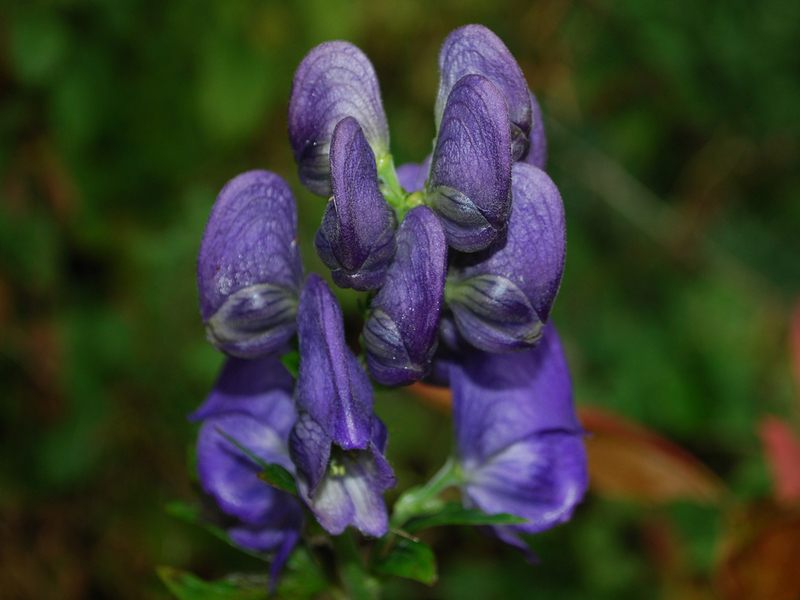 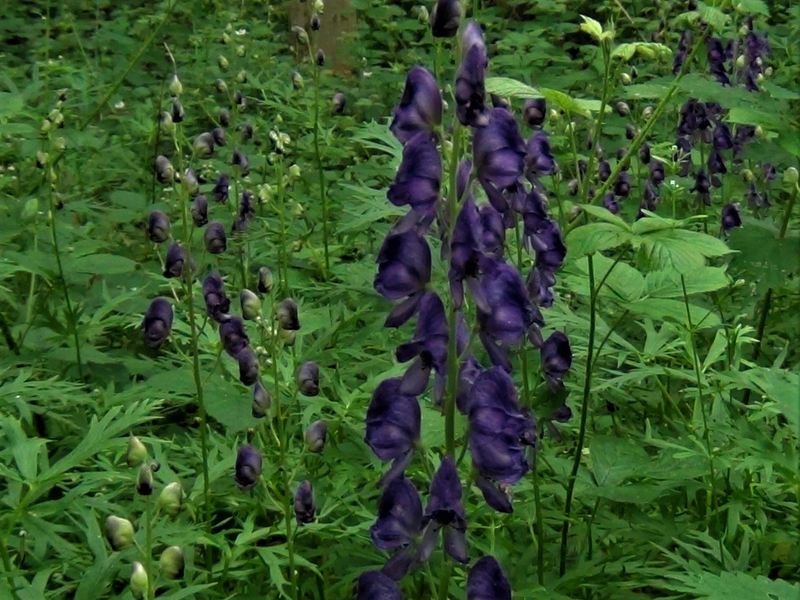 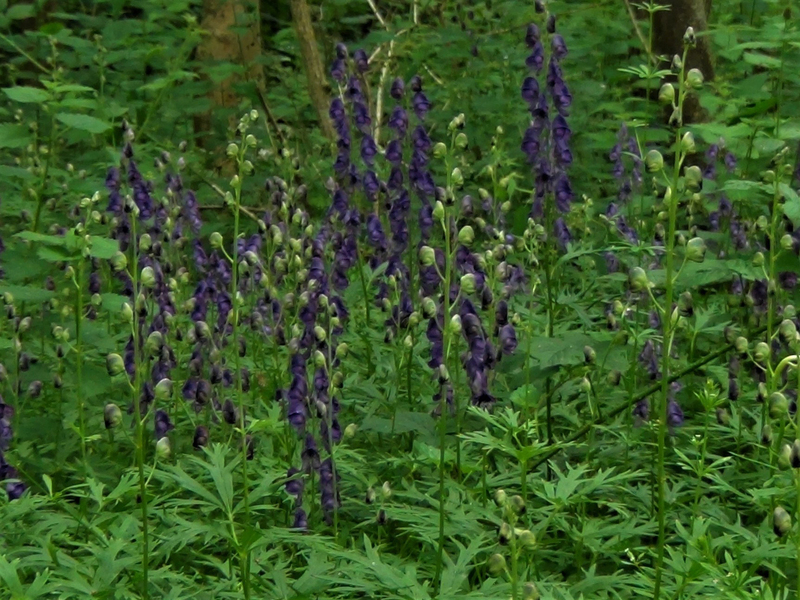 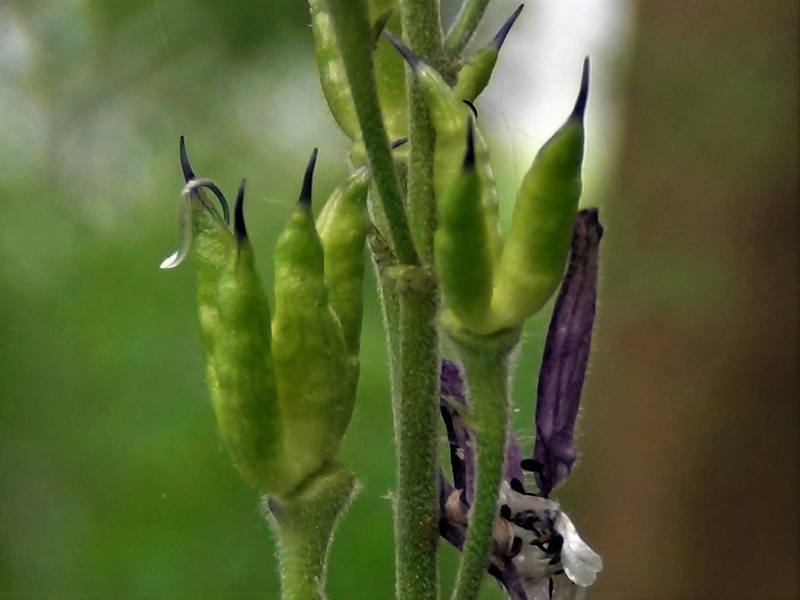 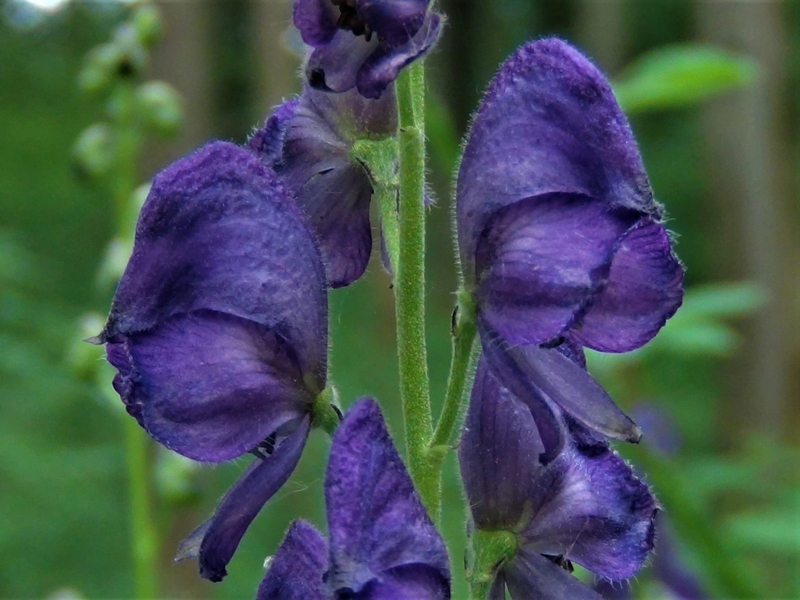 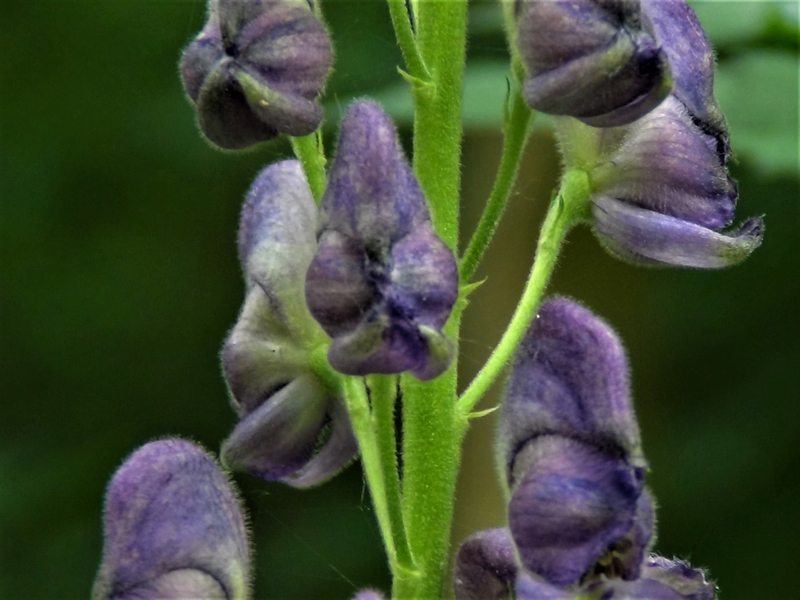 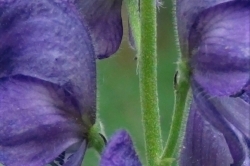 The beautiful but deadly hooded flowers of monkshood, Aconitum napellus. 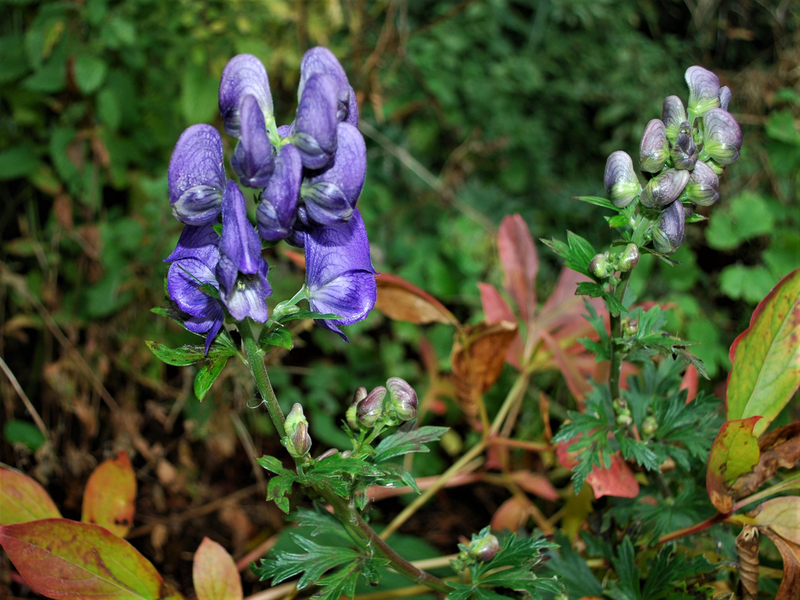 A beautiful but deadly poisonous common plant that can poison by touch but this does not seem to cause fatal toxicity. 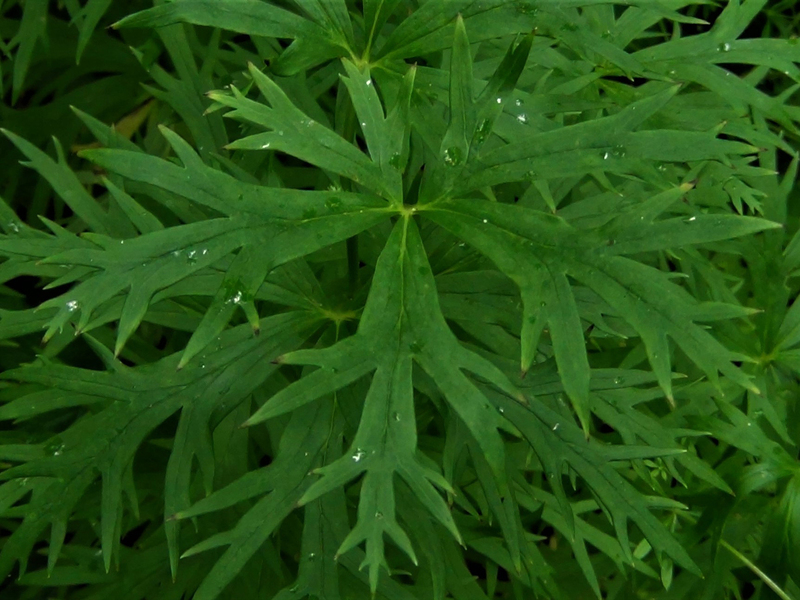 The dark green leaves are deeply palmately lobed, with five to seven angular segments with sharp lobes coming from these. 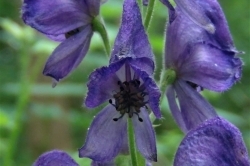 Blue, purple, pink, white or yellow flowers with one of the petals enlarging and becoming a ‘hood’. 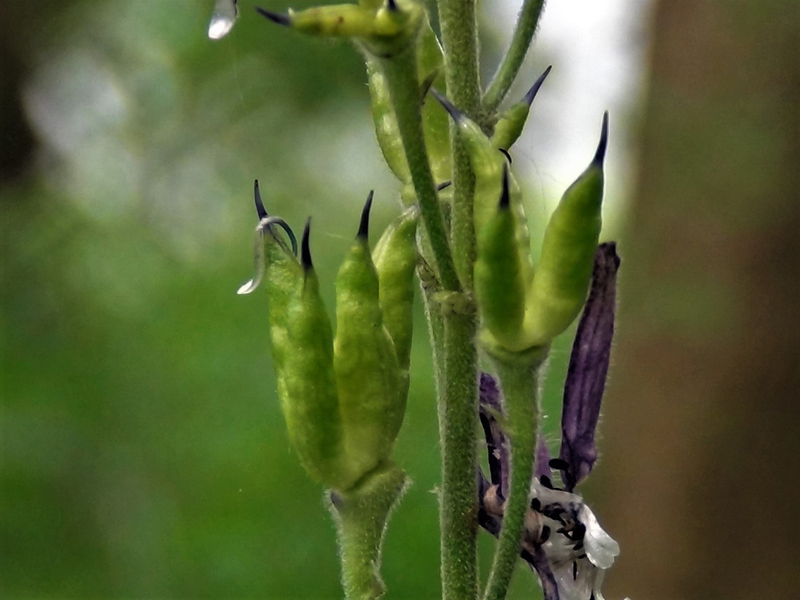 Has erect finger like green seed pods. 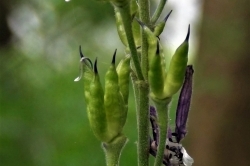 A tall and erect stem with fine hairs, often reaching above two metres in height. 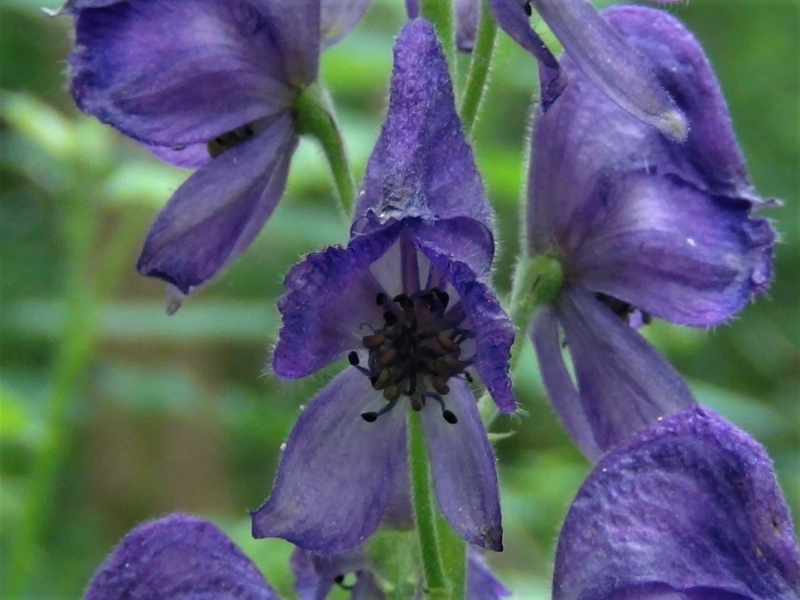 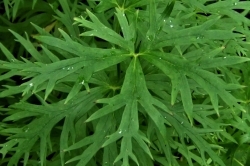 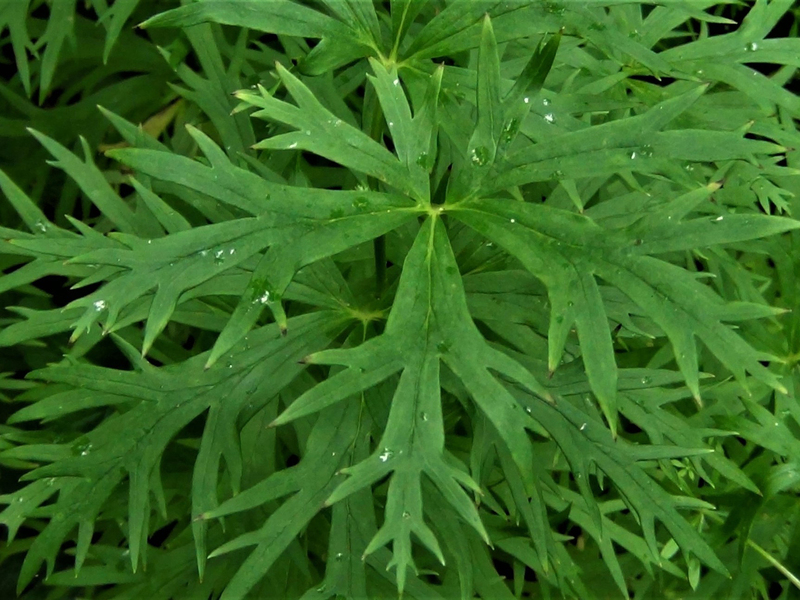 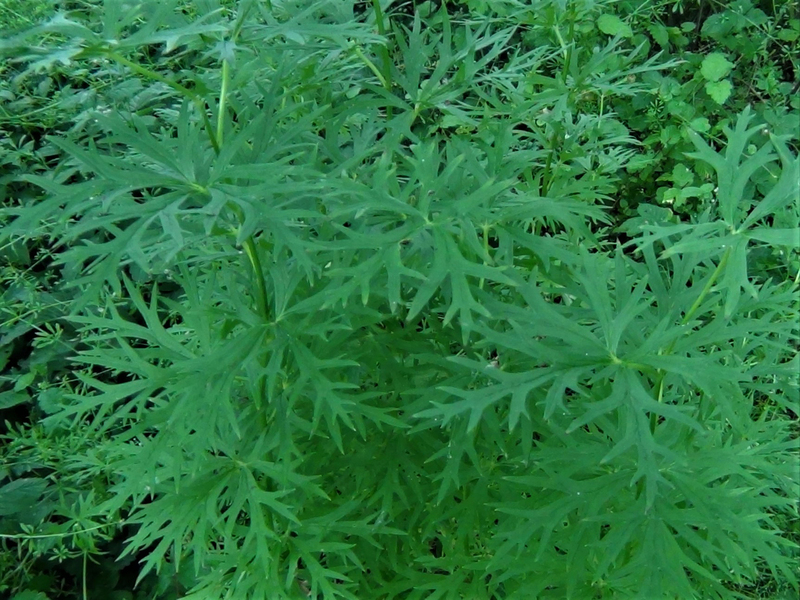 Likes wet but well drained soil and can be found in gardens, woods and ditches. 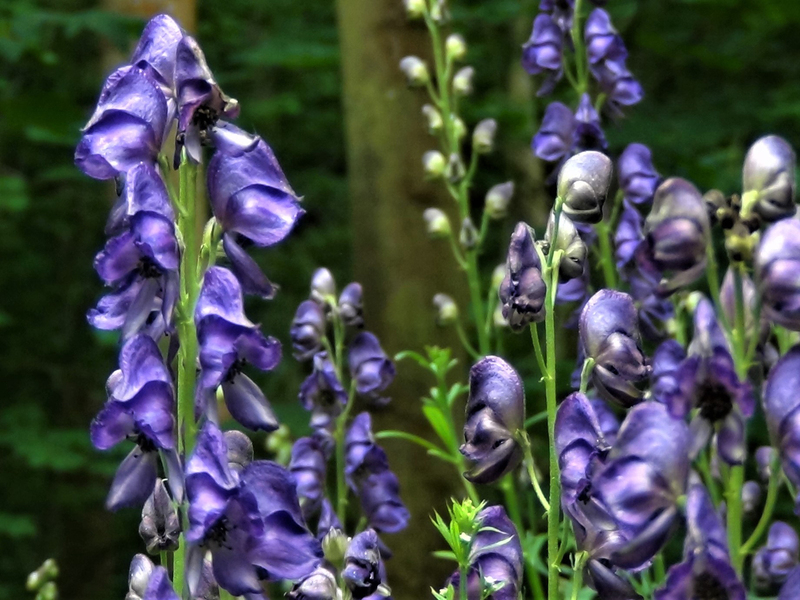 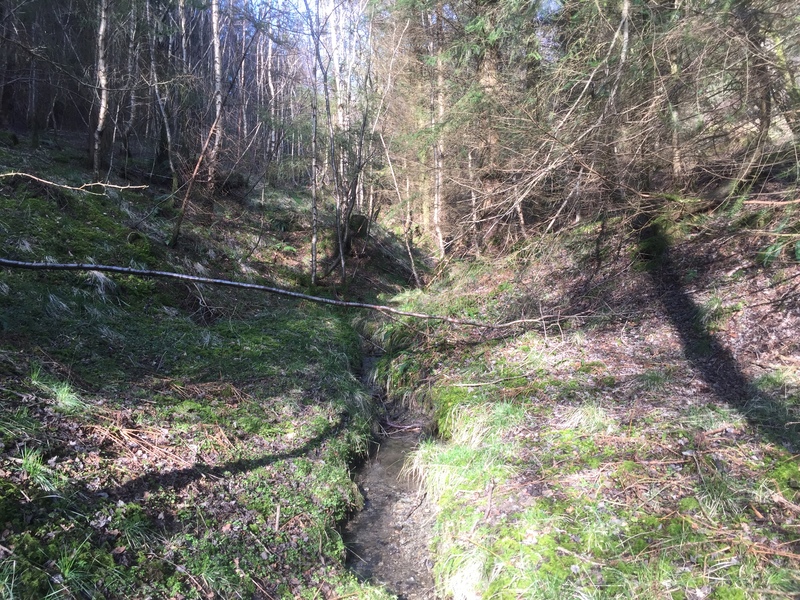 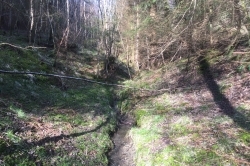 It has been reported that the poison can affect humans just by contact, but this usually causes paraesthesia or headaches rather than severe toxicity. 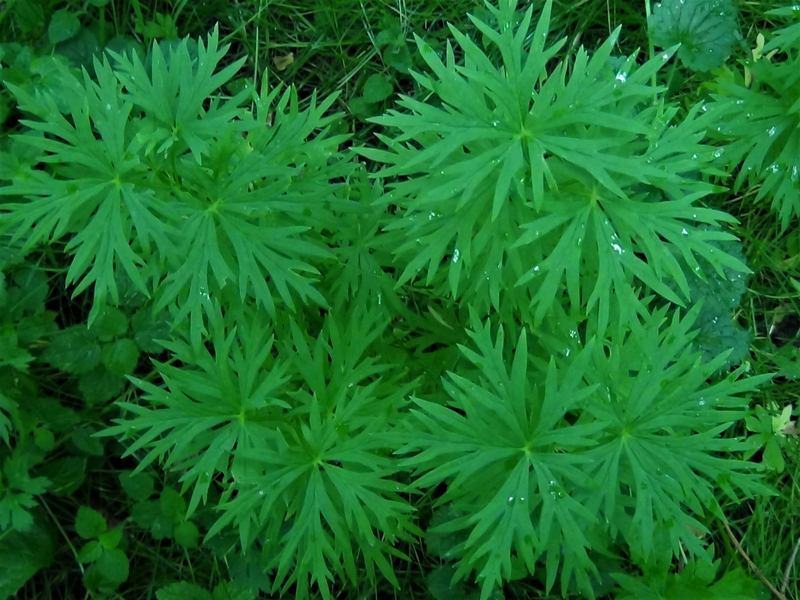 Has been used in various places around the world as a poison for arrow tips for both hunting and warfare.